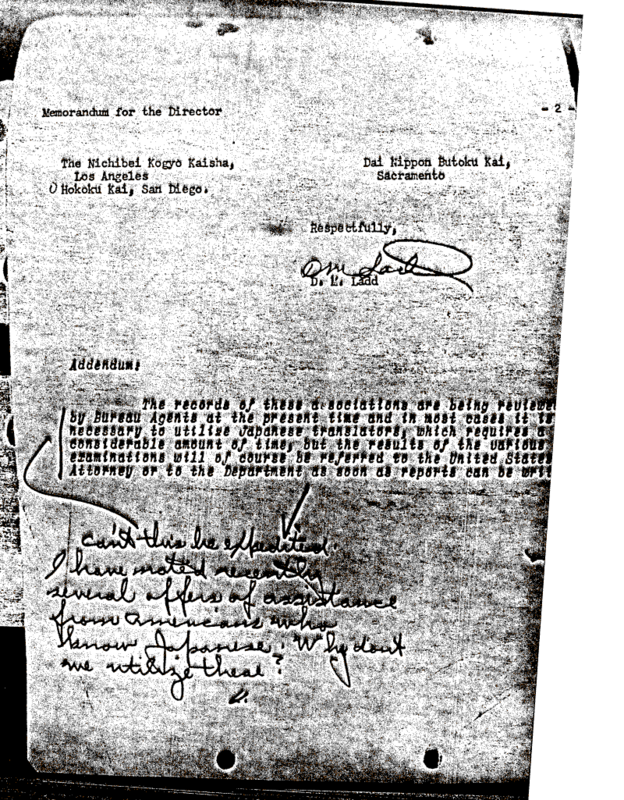 Document Notes: This doc is undated but probably is the last page of a late 1941 or early 1942 memo. It demonstrates tha difficulties had by the FBI in securing enough Japanese translators. Note Hoover's written comment at bottom.